Cacio e Pepe Recipe - literally cheese and pepper. It only has 4 simple ingredients. I would bet that most of you have all the ingredients in your pantry right now! This only takes about 10 minutes from start to finish. It is a great side dish for a weeknight meal. It is so good that I could make a meal out of it! New favorite alert! We absolutely LOVE this simple pasta side dish. I could have actually eaten this as my meal. It was SO good! 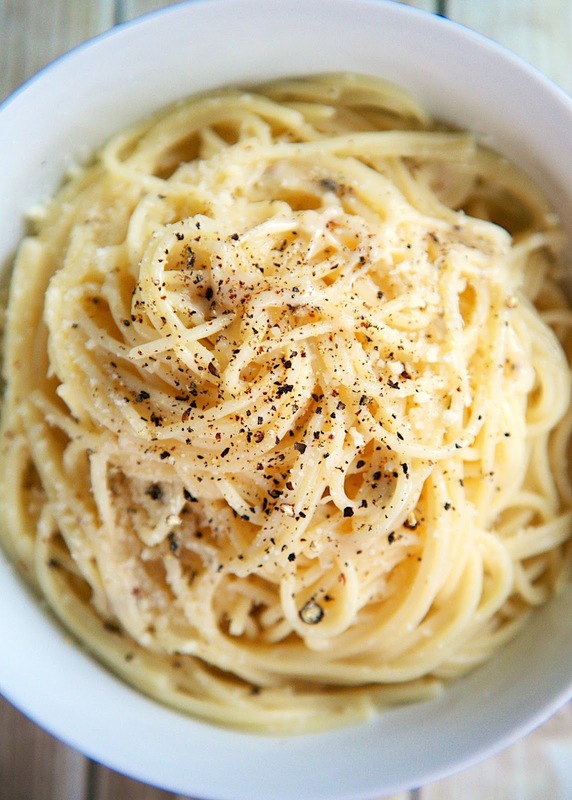 Cacio e Pepe is literally cheese and pepper. It only has 4 simple ingredients. I would bet that most of you have all the ingredients in your pantry right now! This only takes about 10 minutes from start to finish. It is a great side dish for a weeknight meal. We love to eat it with grilled chicken, steak or pork. We've made this several times and it is always delicious! Cook pasta according to package directions. Drain, reserving 3/4 cup pasta cooking water. In a large skillet, melt 2 Tbsp butter. Add pepper and cook for 1 minute. Add 1/2 cup reserved pasta water to skillet and bring to a simmer. Add pasta and remaining butter. Reduce heat to low and add 3/4 cup Parmesan, tossing with tongs until melted. Remove pan from heat; add remaining Parmesan and toss. (Add more pasta water if sauce seems dry.) Transfer pasta to bowls and serve. 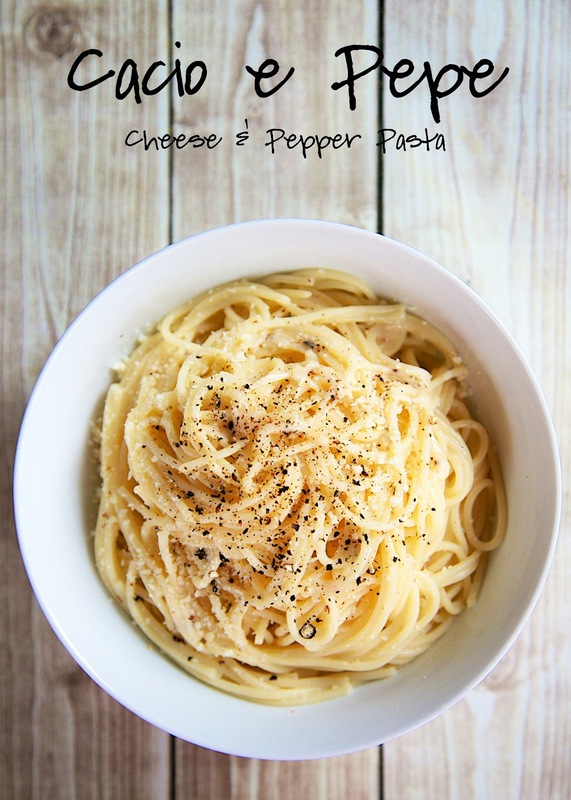 Sounds good but recipe doesn't indicate how much of the butter to melt before adding pepper. Please clarify. Thanks! My daughter introduced me to this pasta when she was in college. We love it…de-lish!